When looking for ways to improve service when guests check-in early to your hotel or property, perhaps consider a guest paging system. 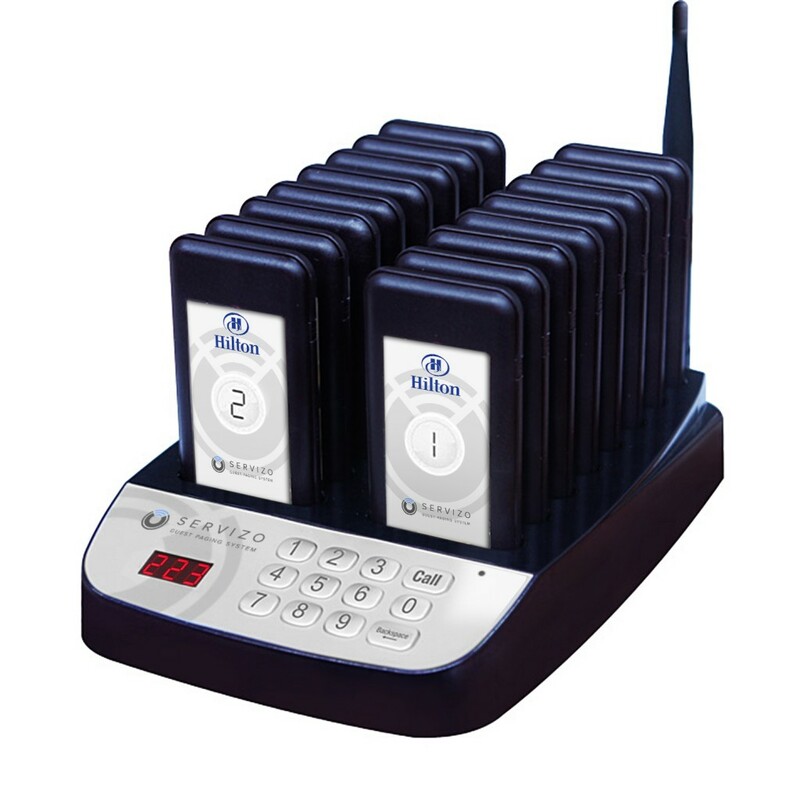 Its quite a straight forward technology, the system comes with a base and up to 16 individual pagers. After the early check-in the guest is given a small pager that fits easily in their pocket, and has an assigned number. When the room is available the front desk simply inputs the unique pager number into the base keypad and a signal is sent which engages the pager to vibrate and/or beep alerting the guest instantly. The systems are rated to work up to 1000 metres, however, it is important to know that there are many factors that can influence transmission range. For example, materials used in the building’s construction, the number of vertical stories we need to reach, or if outside the weather conditions on any given day. As you can appreciate making these systems work to your needs requires experience and in some cases added technology so we strongly suggest you use an experienced solutions provider so you don’t get any surprises. Below shows a recent solution to give you an idea of the system. We are proud to announce our partnership with Blue Elephant in the Hilton Portomaso, in Malta. All guests are now provided with Servizo wireless technology so that their dining experience is even further enhanced, well beyond their usual high standards. 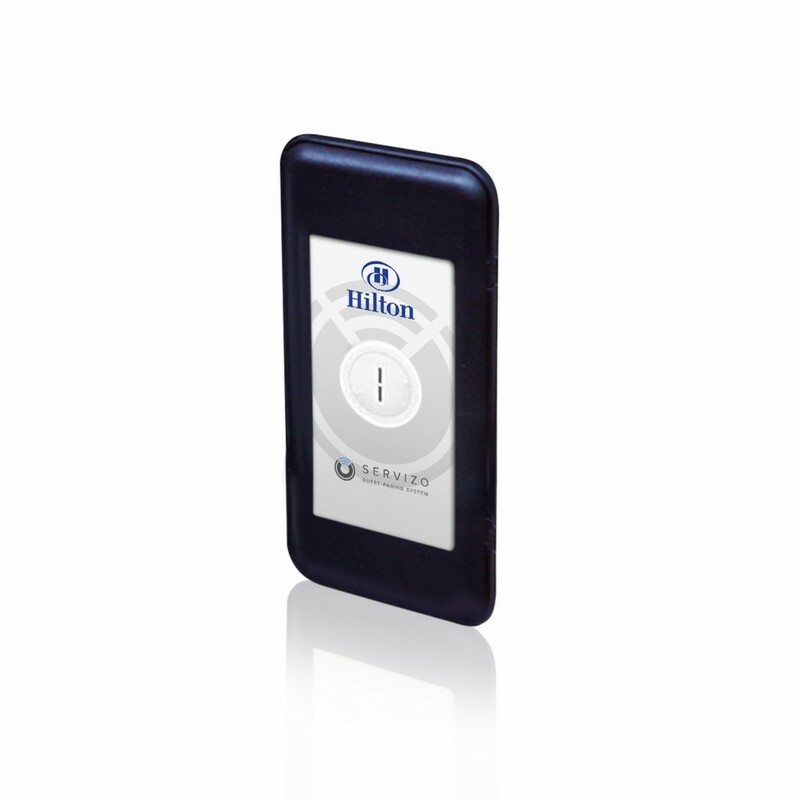 Our small transmitters are placed at every table, and when a guest has a question, request, or is simply looking to pay the bill, one click of a button instantly alerts the experienced Blue Elephant team members. In addition to the guest tables we also use technology in the kitchen, so the chef can instantly alert servers when the food is ready. This means your food comes out of the kitchen hot and fresh. Is this not Paradise for a restaurant patron? It certainly is game changing for the hospitality industry, and Servizo is an industry leader. We design customized solutions for the industry depending on each client’s needs, which are always unique! We invite you to an evening of great food and technology innovation, at the Blue Elephant at the Hilton Portomaso.